An exciting new Ben 10 Ultimate Alien Game is here! Are you ready for the Galactic Challenge? Check out the multi-level Ben 10 game packed with fierce enemies and mind-blowing aliens to fight them! Yes, It is Ben 10 Galactic Challenge and you are going to love this online game. Ben 10 Galactic Challenge is an arcade game from the Ben 10 Ultimate Alien franchise. And it is also one the most played game in the Ben 10 Ultimate Alien games category. The game is based on the popular American animated TV series which was aired on Cartoon Network during the period 2010 – 2012. There are 10 aliens in Ben 10 series and You can play Ben 10 Galactic Challenge with all the ten alien forms. But not all of them are available from the beginning of the game. More aliens get unlocked as the game progresses. 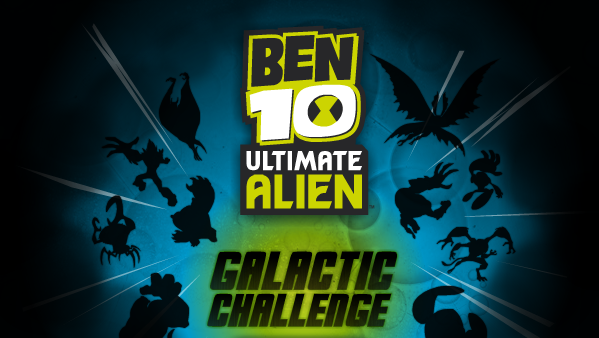 Ben 10 Ultimate Alien Galactic Challenge has 20 different levels which can be treated as 20 Mini games. Each level can be played in two difficulty modes i.e. Easy and Hard. Talking about the Ben 10 Aliens in this game, in the beginning, you have to start the very first level with the Swampfire. It has the power to throw fireballs on the enemies which kill them as well as destroy the projectiles directed towards you. With every level you clear, aliens like Ultimate Big Chill, Humungousaur, Spidermonkey etc. gets unlocked. After you unlock them, you can the Ben 10 Galactic Challenge game in hard difficulty mode. You can unlock more aliens such as Ultimate Echo Echo, Jetray, Ultimate Cannobolt, and Brainstorm as you progress through different levels. All in all, Ben 10 Galactic Challenge game is an adventurous game that every Ben 10 games fan would love to play and enjoy. Destroy all enemies in 20 exciting levels and unlock new Alien with each Win! Good Luck. Don’t Forget to give your rating for Ben 10 Galactic Challenge Game and share your tips and tricks to win this game in the comments section below.